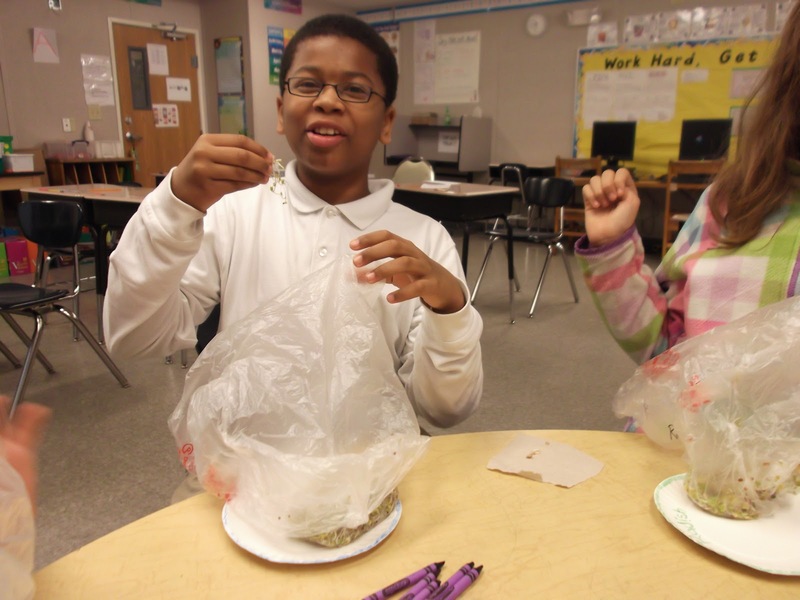 In cooperation with Curtis Bay Elementary/Middle School, the Filbert Street Garden has started to pilot a sprouts growing program for winter. With quick germination times, mess free growing, and no need for special equipment, sprouts are a teacher's best friend when it comes to growing edibles in the classroom. The first part of this program consists of 4 45 minute long lessons. 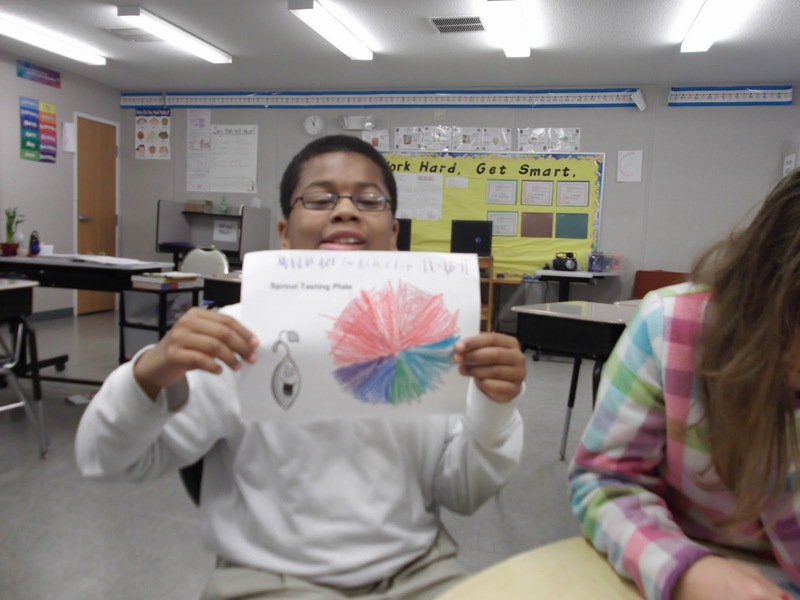 Both Ms. Wells' class and Ms. Ahmann's class just had their 1st lessons recently, and they are off to a great start. 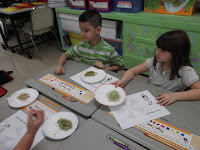 Students work in groups, or if the class is small enough, as a class. 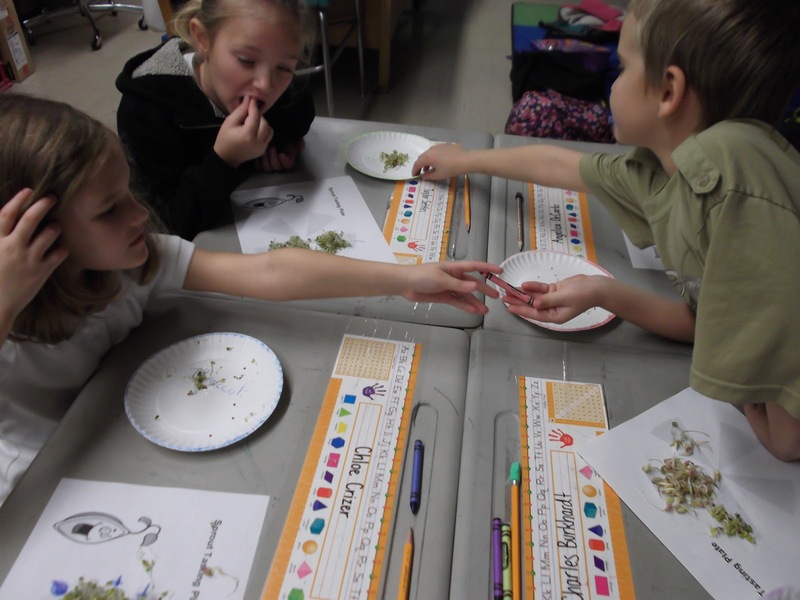 After we learn a little bit about sprouts and sprout anatomy, the taste test begins! 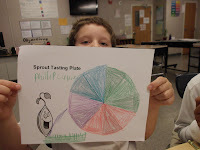 Students use the color-coded plates to help them remember which kinds of sprouts they liked the most (Alfalfa and Broccoli did well for themselves) which they liked the least (poor Radish, getting no love) and what one distinguishing characteristic of each sprout is. After the taste test is over, each group is challenged to come up with their "Perfect Sprout Recipe." 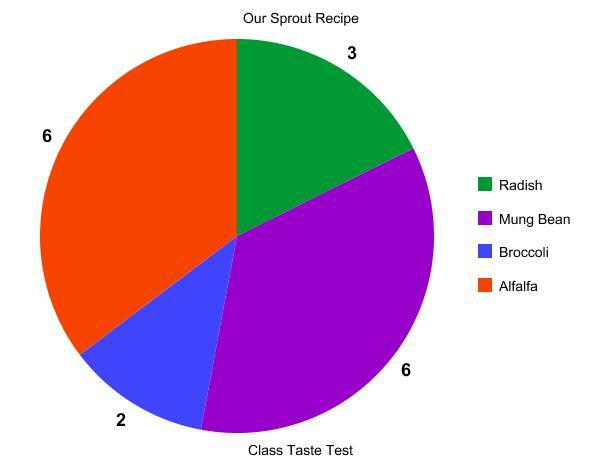 varieties they tasted will yield the tastiest sprout salad? using the colors of the color-coded plates. 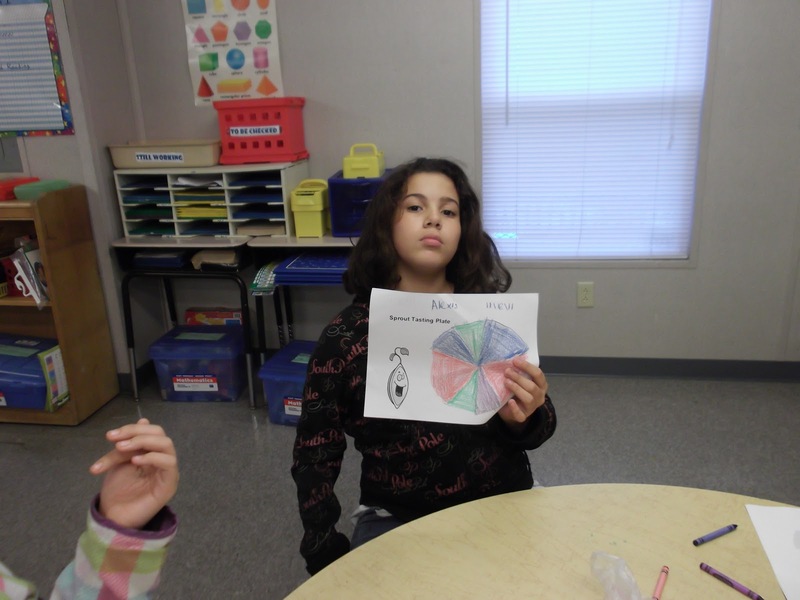 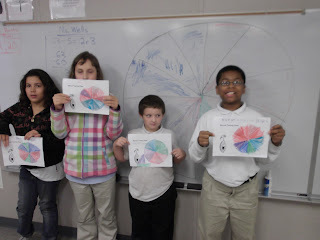 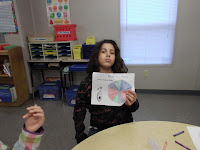 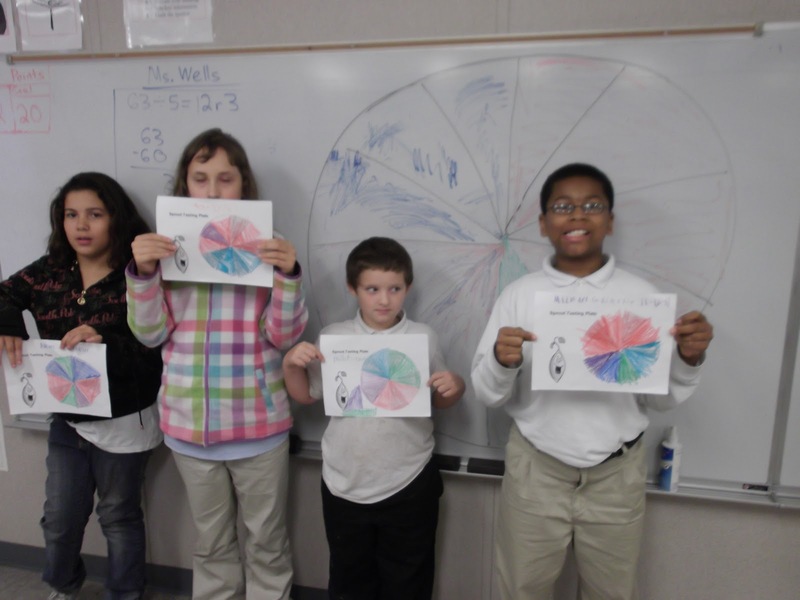 After each group has colored in their recipe, they share their pie chart with the class, and recognize the similarities and differences in each other's preferences. 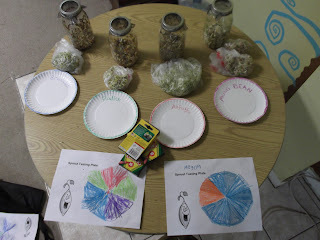 Garden Day Pictures and Updates! and we prepared the garden for the changing seasons. 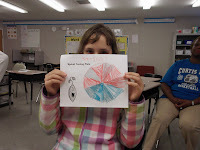 After almost 6 hours of work, everyone was ready for the music of local group the Dead Whale Ramblers, whose music made a great accompaniment to the campfire dinner of Pumpkin Stew, Hot Dogs, Veggie Dogs, salsa, veggies, and S'mores. 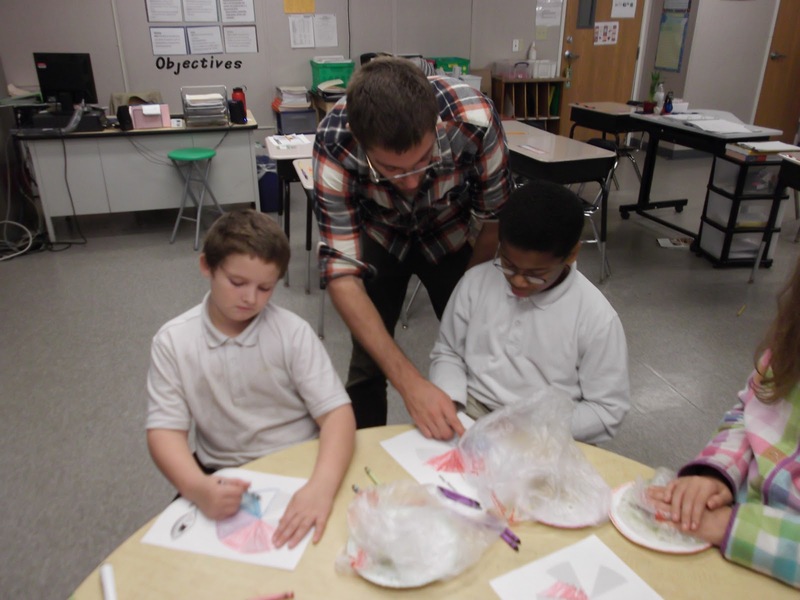 Many local kids cooked their first S'more, and got to hear the story of the 3 sisters, a Native American gardening tale, from guest storyteller James Electric.